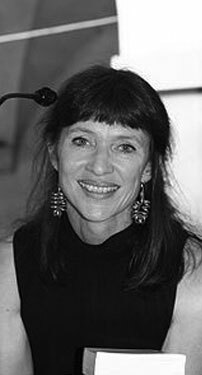 Nancy Louise Huston, OC (born September 16, 1953) is a Canadian-born novelist and essayist who writes primarily in French and translates her own works into English. Huston was born in Calgary, Alberta, in Canada, the city in which she lived until age fifteen, at which time her family moved to Wilton, New Hampshire, USA. She studied at Sarah Lawrence College in New York, where she was given the opportunity to spend a year of her studies in Paris. Arriving in Paris in 1973, Huston obtained a Master's Degree from the École des Hautes Études en Sciences Sociales, writing a thesis on swear words under the supervision of Roland Barthes. Ms. Huston lives in Paris with her husband Tzvetan Todorov and their two children.